This isn’t Zippy, but it looks just like her. 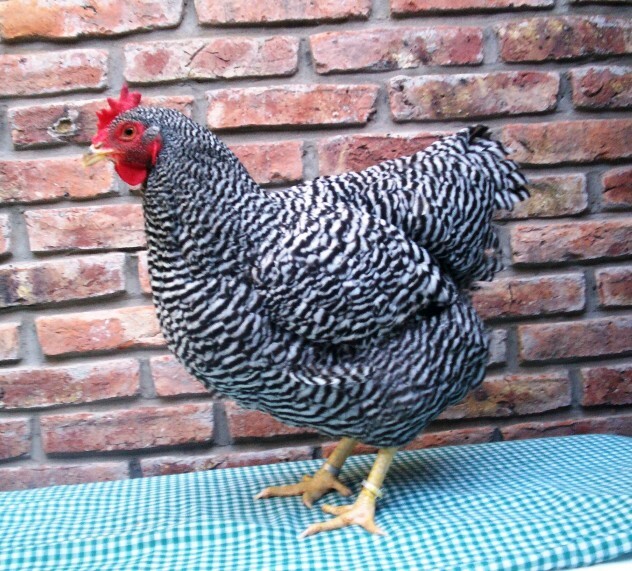 (Not that I can tell one Barred Rock hen from another.) I love her smart stripes and contrasting red comb–very stylish.